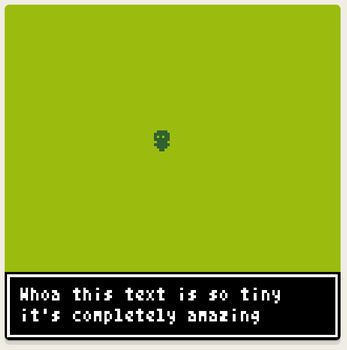 Some tiny pixel fonts for use with Bitsy! They only support basic ASCII characters at the moment. 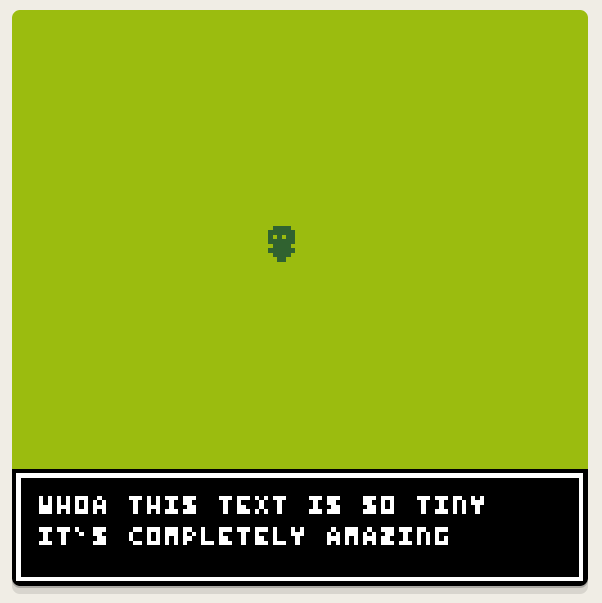 In the Bitsy editor, open the Settings panel, find the Font dropdown menu, and select "Custom Font." 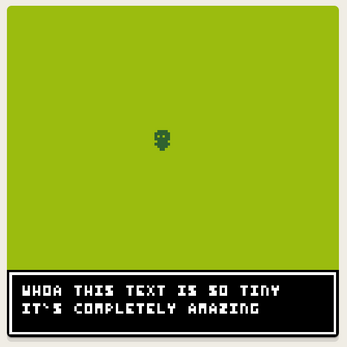 Browse to the bitsyfont file you want to use. 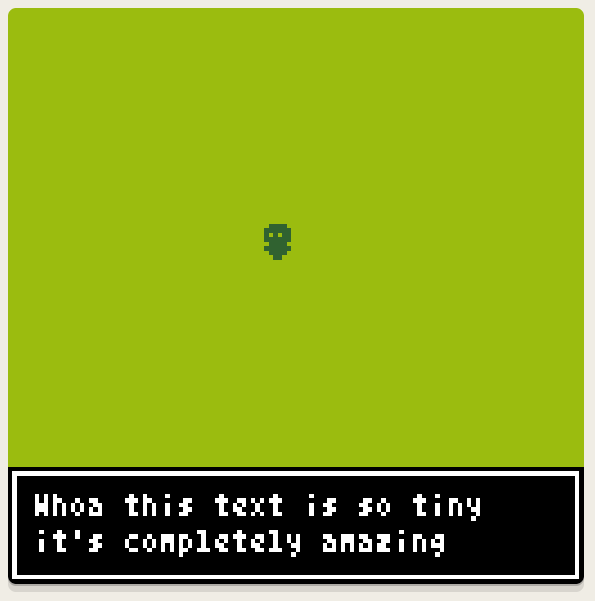 Play your game with tiny text!